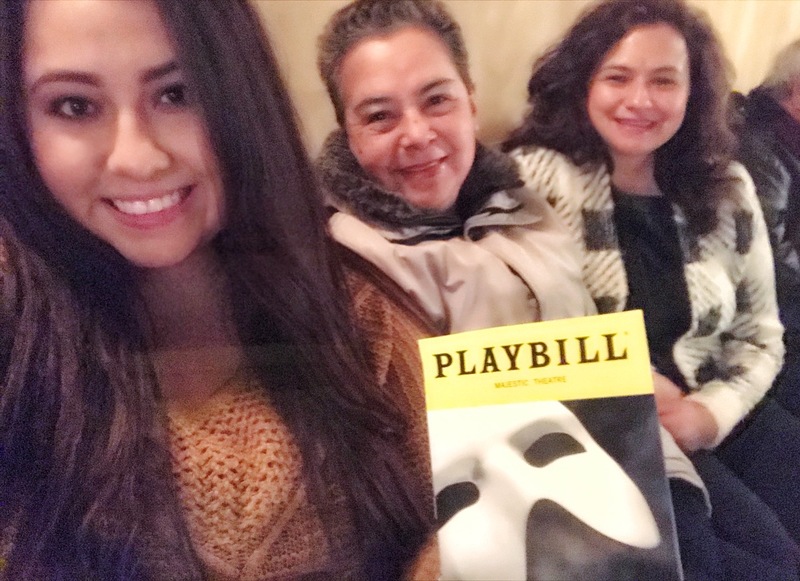 I surprised my mother for her birthday to a broadway show that we both have been wanting to see for the longest time! 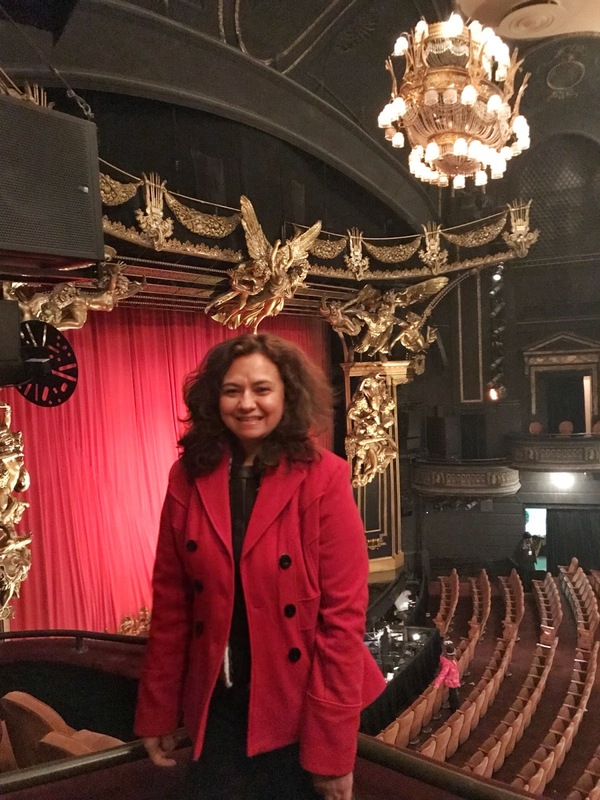 Phantom of the Opera on Broadway. 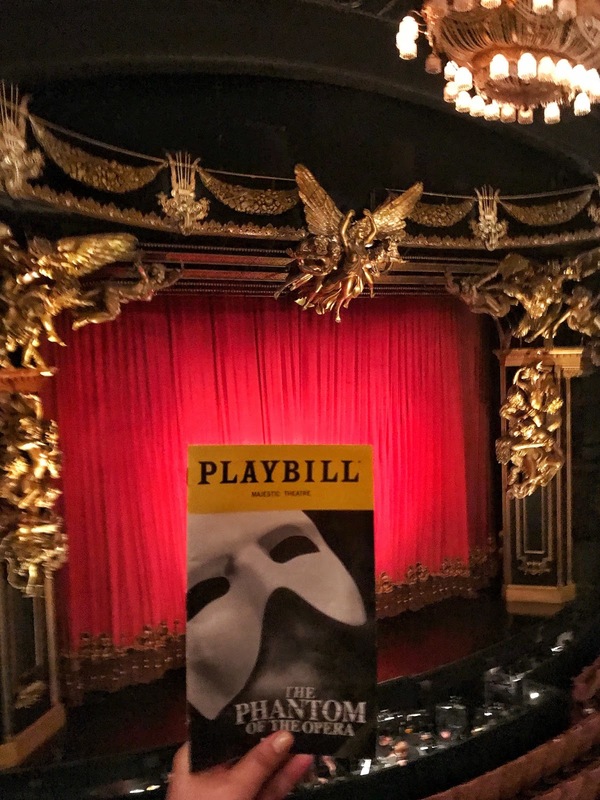 The Phantom of the Opera recently celebrated their 30th anniversary on broadway. I can't believe it's the longest running broadway show to date. For the longest time I wanted to see this particular broadway show but ended up choosing other ones instead to attend for some reason. This year for my mother's birthday I thought it would be fun to go finally see it. I also bought a ticket for my grandmother to also attend since she's never seen a broadway show. I don't know why but every single time I plan on attending a show, it's either snowing or just harsh weather conditions. This time the temperature dropped significantly, there were strong winds, and a storm coming later that night. 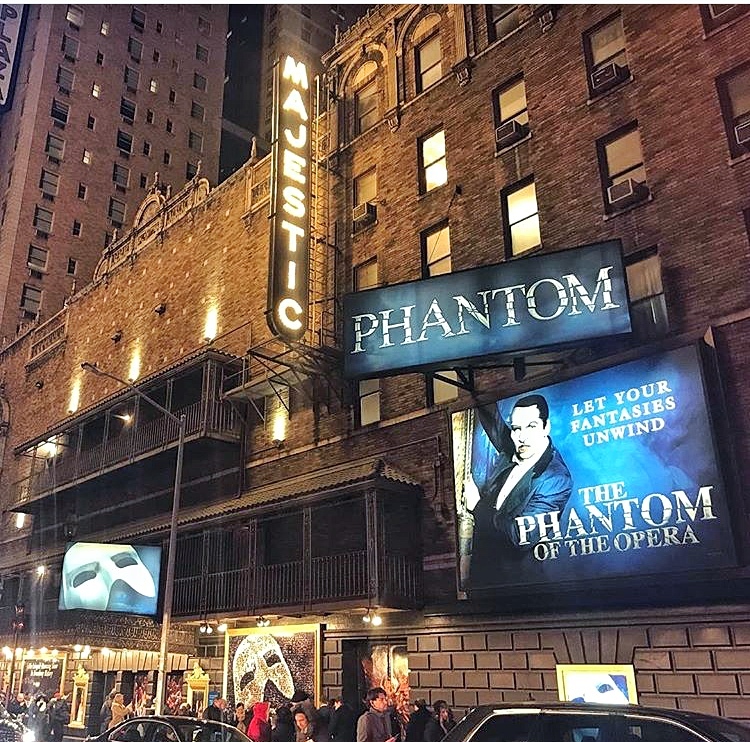 Anyways, there's a reason why The Phantom of the Opera is the longest running show on broadway! 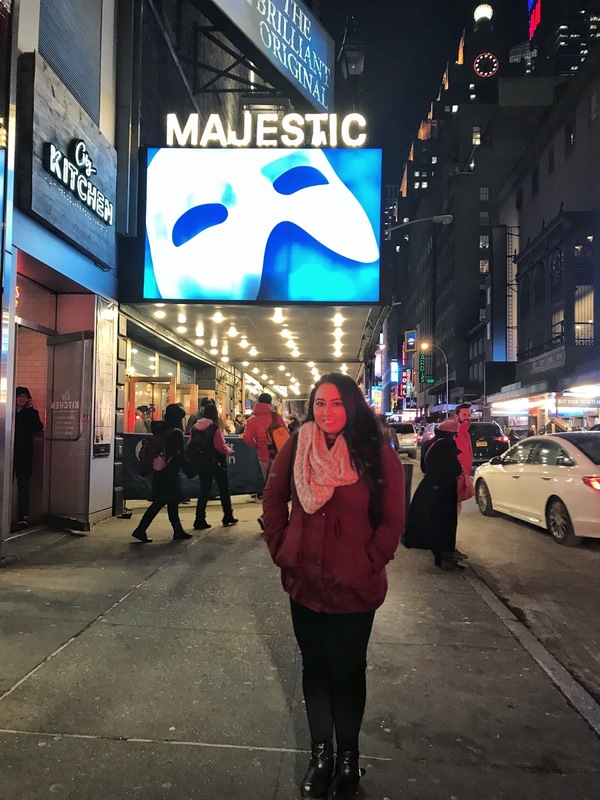 I know on my last broadway post (click here), I stated that Anastasia was one of the best broadways shows I ever seen but this show comes really close. Let's just start off by talking about the theater alone. I never seen a show at this specific theater before but wow it is certainly jaw-dropping gorgeous and huge! Of course it was a sold out show and well worth every penny of the ticket price. 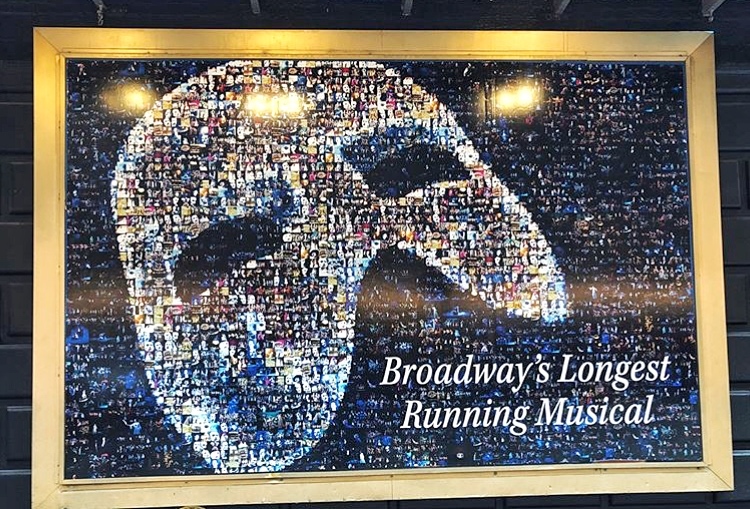 From the beginning to the end of this amazing show, you're just in awe from the beautiful singing, dancing, stage decor, transitions, and amazing effects. I don't want to give anything away from those who haven't seen or experienced the show but let me tell you it's outstanding! If anyone has been debating whether to see it or not, I highly recommend checking it out. What is your favorite broadway show?